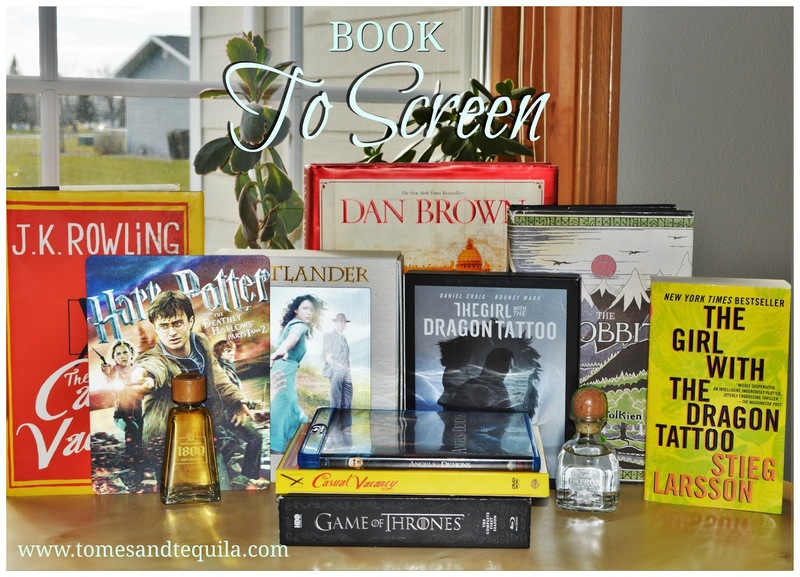 Book to Screen Vol. 1!!! For this edition I think we'll discuss the book Room by Emma Donoghue, and the movie by the same name which was released in 2015 and came out on DVD earlier this year. 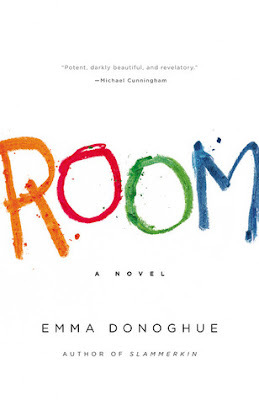 I read another book by Emma Donoghue, Frog Music, before picking up Room...and really enjoyed it. That one is a historical piece set in 1876 and it kept me thoroughly intrigued and entertained throughout. So when I realized she was the author of the much buzzed about book Room I figured I had to give it a try. 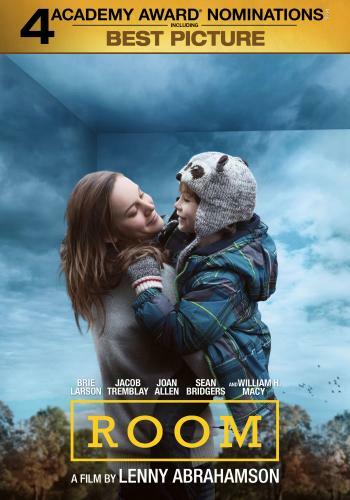 Room was either nominated for or won what feels like every literary prize around, but has very divided reviews. People either hated or loved this book. I thought it was great and gave it a solid 4 stars when I read it in December of 2015. At the library, the reviews I've heard have been mixed. I think I was aware of the movie because I'm a fan of the lead actress...but I didn't watch it until it was out on DVD. The book tells the story of five year old Jack and his Ma, and is mainly told from the viewpoint and voice of Jack. They live in Room. Jack's friends with an egg-shell Snake. His Ma allows him to watch one hour of television a day so it doesn't turn his brain into mush. Once a day they play a game of shouting, banging pans and flashing lights up towards their skylight. You see, Jack and his Ma are being held captive in a shack by Old Nick. His mother was kidnapped as a teen, and gave birth to Jack in the Room they call home. The story was heavily influenced by the real stories of Jaycee Dugard and Elisabeth Fritzl...both who were held captive for many years and gave birth to their captor's children while in captivity. But in the end, this is a fictional story. Quite a few reviews complained about the way Jack spoke in the books, and I think it was rectified for the movie. He would use big words but then phrase them oddly. He knew of some things really well, and watched television enough that they felt he wouldn't speak in such a twisted way. I think it pulled a lot of people out of the story, although it personally wasn't a problem for me. "When I was four I thought everything in TV was just TV, then I was five and mom unlied about lots of it being pictures of real and Outside being totally real. Now I'm in Outside but it turns out lots of it isn't real at all." Despite really liking this book and being a book blogger, I felt this was an instance when the movie was better! The acting was superb. I am a big fan of the actress Brie Larson, and she did a fantastic job as Ma, and the boy who played Jack did a great job also. Plus the movie "fixed" some of the issues people had with the book. The fact that Ma was still breastfeeding a five year old Jack lost some of the ickiness people brought up in reviews, although that part honestly didn't bother me too much. Jack's weird speech patterns weren't as noticeable, etc. I think the father being deeply disturbed by having a grandson that was fathered by his daughter's captor played really well on screen, and it added a different aspect to this boy that you have already connected with. If you have never read Room, I suggest you add it to your pile. If you've never seen the movie, I suggest you pick it up. It is disturbing content done extremely well, and deserving of all the kudos it received. Let me know what you think in the comments here or over on my Facebook page!